The What: Kramer K-Touch 3.0 is a cloud-based BYOD platform for advanced room control and automation. The What Else: K-Touch 3.0 includes pre-programmed, drag-and-drop modules for easy control system design. K-Touch modules represent a wide variety of media programs and devices commonly used in control and automation environments. 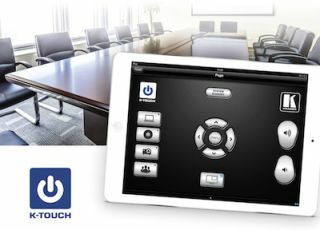 K-Touch 3.0 enables the control of room elements via ethernet. With Kramer FC-series format converters or third-party controllers, room elements can be controlled via RS-232, GPIO, relays, or IR. Kramer RC-series button controllers can also be incorporated into any project to provide tactile operation. K-Touch 3.0’s platform offers integrators significant cost savings and higher ROI by allowing them to provide remote cloud-based support and updates to customers without having to be on-site.